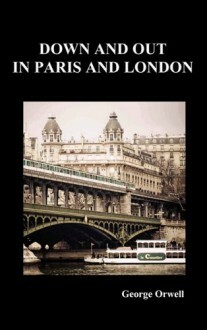 Orwell's first work -- a sensitive and insightful description of the life of the working poor in Paris and the homeless in London. It is still very relevant today, and while aimed at the casual reader, it is of interest to the scholar and activist. Full of wretchedness and uncomfortable descriptions of trying to make ends meet. Really enjoyed the down to earth, realistic narrative, that lacked exaggeration, concerning poverty and dreadful living conditions.